Love "ranch" homes? You're not alone! 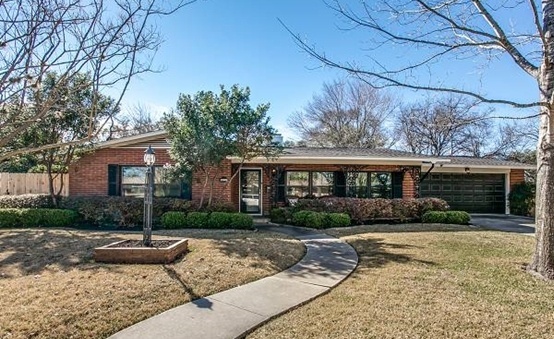 Ranch styled homes remain popular among home buyers looking for specific features. The ease of entry and lack of stairs make the layout more accessible than most. This type of home is typically built with a naturally existing open floor plan and high potential for a future addition. Ranches are normally smaller in square footage, which means less maintenance and clean up, and often have a lower asking price. 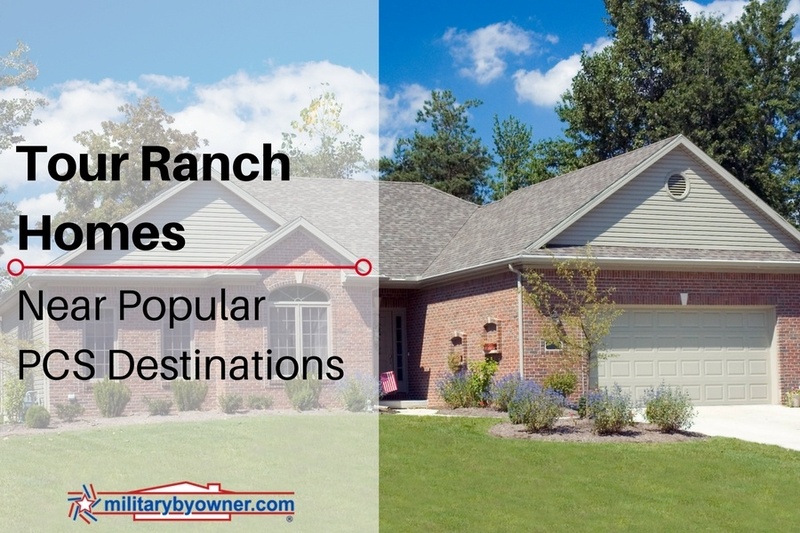 Military members are beginning their PCS house searches now, so take a look on MilitaryByOwner what a ranch looks like coast to coast and how the price points vary. Gorgeous updates galore are found throughout this rambler. Barely any space has been left unrenovated and the results reveal mid-century charm and aesthetics that include quality wood floors. The one-story home has a wide-open concept with plenty of space to entertain and show off to your guests. After they’ve been wowed by the interior, step outside and continue the festivities in the spacious backyard and covered patio. 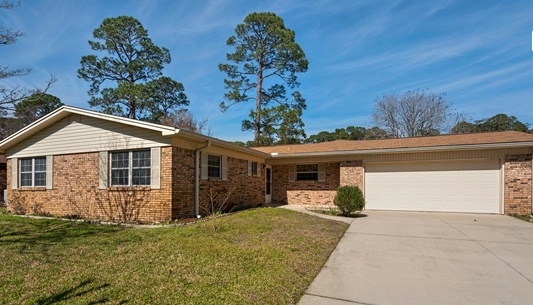 A ranch home found in the perfect location for pristine scenery, very manageable commute to several military installations, AND a top-notch elementary school is a rare find indeed! But to add the design-friendly features inside sets this property above others. Shades of gray and white flow throughout the home in the paint color and floor choices. This show piece is move-in ready and waiting for owners who appreciate the quality of life this home offers. 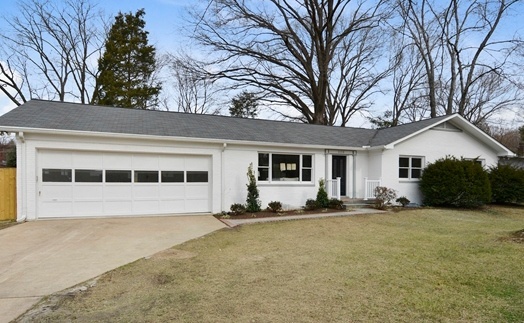 Buyers looking for a ranch desire openness, great flow, and natural light. This Florida version has all those qualities and more. Fresh and clean, the home has been very well maintained and cared for over the years. The next owners will have a simple time of adding their personal style and home decorating ideas because of the neutral canvas they’ll purchase. In North Carolina, you’ll find the Southern variety of a ranch. 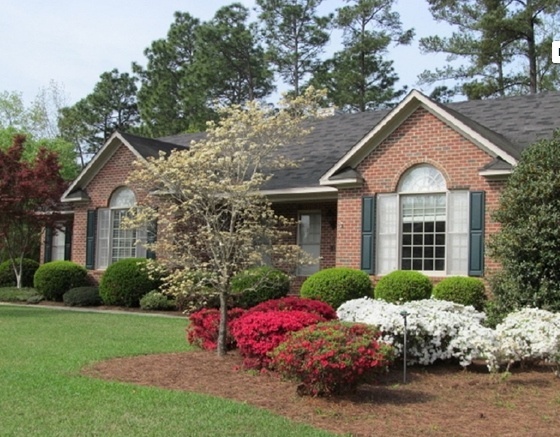 Located in a gated golf community, Gates Four, this home comes complete with a front yard full of azalea blossoms to greet you throughout the warm months. Inside, unique wood flooring, cathedral ceilings, and granite counter tops are just the start, because technology has a place here, too. A central vacuum system, intercom, and water maintenance for both the front and backyards is installed and operational. The details really do make this a purchase worthy of serious consideration. It doesn’t appear ranch-style homes will be disappearing from the housing market anytime soon. Why should they? Space, easy access, and affordability are all qualities buyers continue to search for. *Note: Links have been removed from homes no longer listed for sale. Don't see what you're looking for? MilitaryByOwner’s inventory has many ranch styled homes to choose from near all the bases you may be heading this PCS season.